The proposition immediately got Marishane thinking. He would buy that product. Realizing there is a market of around 2.5 billion people around the world who lack even basic access to water and billions more who, like his friend, are too lazy to shower, Marishane tried to create the product. 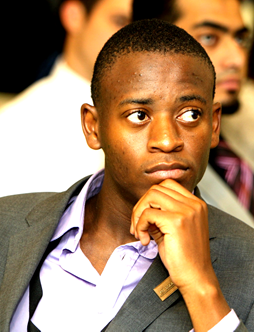 After six months of researching the Internet on his web-enabled basic cell phone, Marishane invented DryBath, the world’s first and only bath –substituting skin gel, an odorless substance that has the same effect as anti-bacterial cleanser and creates a biodegradable film that cleans and moisturizes the skin. Marishane patented his product and registered it as a company to commercialize it. Lacking complete access to bathing water can lead to trachoma, a disease which affects the eyes and can cause blindness if one is repeatedly infected. Simple face washing can prevent the disease. On the opposite extreme, Marishane hopes to use DryBath to raise awareness of the consequences of excessive bathing. He explained some people are bathing two or more times a day. He stressed: “This has lead to our skins becoming sensitized by all the purifying chemicals in the water, and that’s why every new skin lotion is always touted to be twice as moisturising as the last. We bathe all the time and try to repair that damage with expensive lotions which we shouldn’t need in the first place. 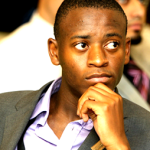 We want companies and communities to get involved with the campaign.” The young entrepreneur hopes his invention will help reduce water-shortages, which are expected to reach extreme levels by the year 2030. DryBath is not the young South African man’s first invention. In the 9th grade, he created his own biodiesel, while in the 10th grade, he invented a healthy cigarette, but realized he lacked the resources to take on the tobacco industry. He also wrote a mobile dictionary and magazine supplement that society just wasn’t ready to publish. For inventing DryBath, Marishane received the 2011 Global Student Enterpreneurship Award (GSEA) at the Global Entrepreneur Week (GEW). This is the highest student entrepreneur award in the world. Between the 5-7 of July, 2013 Marishane’s company will organize a No Bathing Weekend, in celebration of this year’s international World Water Day and the United Nations International Year of Water Cooperation to promote water saving. Marishane’s company hopes to convince people to skip one million baths this year, although he would personally prefer the number to be around 10 million.